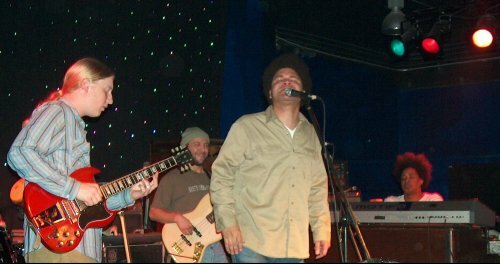 The Derek Trucks Band (DTB) has evolved over the past ten years. Each member comes from diverse musical backgrounds and has something special to contribute to the group. Although the band bears the name of perhaps its most well known player, their exploratory style is very much a team effort. DTB melds rock, blues, jazz, Latin and other world sounds to craft musical montages. Improvisation is at the heart of DTB's songs as they masterfully blend various genres. A glimpse of the night's capacity crowd diggin' the tunes! 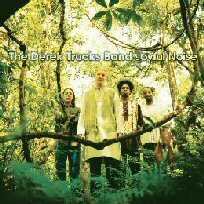 The Derek Trucks Band has released several albums but their live shows are key. They are continuously on tour. On stage there is an almost cosmic connection among the band as they tap into and expand upon each other's energy. All five musicians are exceptional players and as a group they are extremely tight. 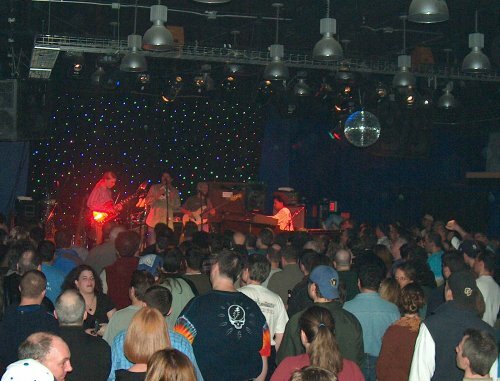 On Friday, January 23, 2004, The Derek Trucks Band played two filled-to-capacity sets at Mexicali Blues in Teaneck, New Jersey. Melvin Sparks, known as one of the founders of acid jazz, opened for DTB. He amazed the crowd with his guitar genius. Anticipation was high as DTB took the stage for their second set. The crowd had heard an incredible first set and were primed for more experimental jamming. 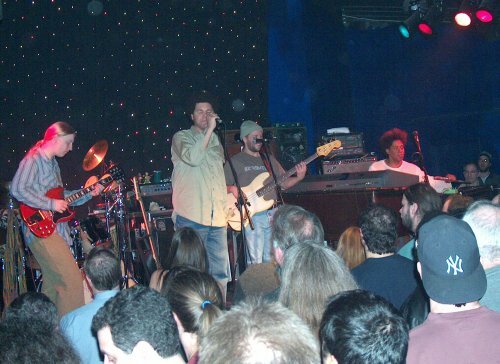 The first song showcased Kofi Burbridge playing an animated flute part as Derek and bassist Todd Smallie traded riffs. Yonrico Scott was strong on drums as the song progressed along a diversity of musical directions. 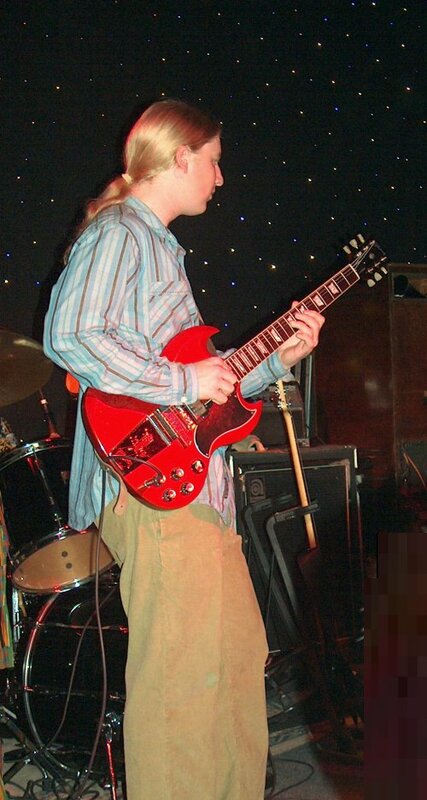 Derek Trucks: Solo Artist and Allman Brothers Band guitar player! Mike Mattison, the lead vocalist, took the helm for the second song. He is a soulful singer with a versatile vocal range that blended perfectly with the jazzy instrumentation that the band provided. The song eventually progressed into a cool blues rhythm. Next, Yonrico had an opportunity to strut his stuff on the skins as Derek and the others briefly left the stage. Kofi was the first to return contributing a whimsical flute section. Back on guitar Derek used an assortment of techniques, demonstrating that he is already a master of the fret. I'm not quite sure when the fourth song began but suddenly there was a heavy funky blues rift and Mike is back at the forefront singing with passion. Derek has a quiet stage presence but wails through his guitar. He is marvelous to watch as his fingers fly up and down the guitar neck creating various textures and tones. Trucks' slide work is magical. The next few songs were amazing improvisational tunes that flowed easily one into the next, showcasing wild innovative sounds that blended the blues, jazz, rock, soul and so much more. Towards the close and encores the instrumentation took on a Deadish/Bo Didley vibe as the crowd continued to sway with the musical waves. The band closed with the blues. The Derek Trucks Band is a must see for those who appreciate inventive high quality music. Thanks again to Create a Vibe for hosting this and other great jam bands! The Derek Trucks Band, again! 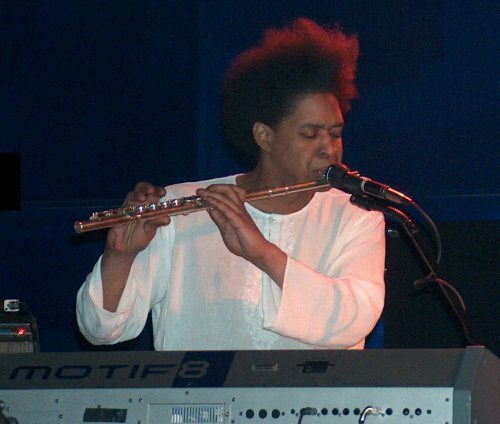 Keyboard player, vocalist and flutist  Kofi Burbridge!